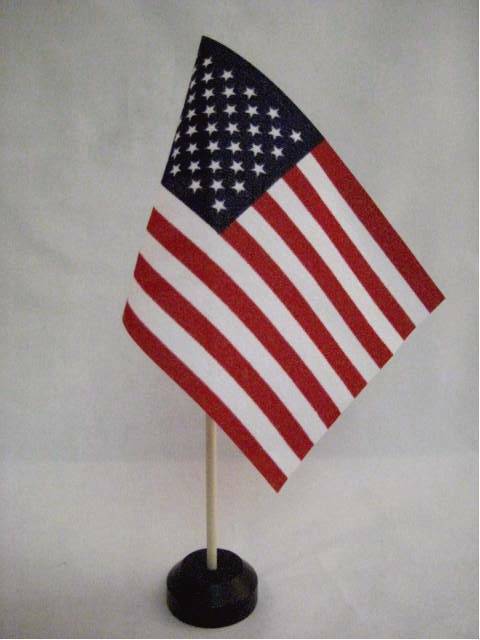 DIMENSIONS: 4x6" flags on 10" staffs; bases 2x3", 3/4" thick. 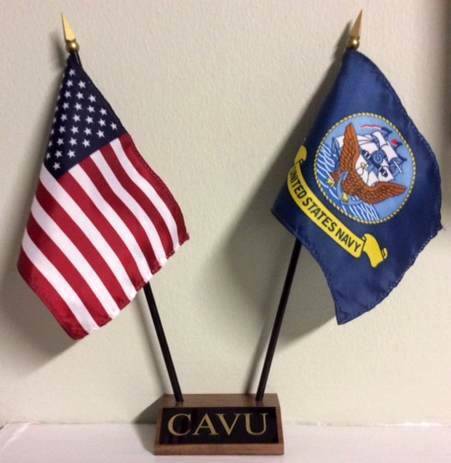 The sloped front face is 11/8 x 3"
Find out why CAVU was important to President George Bush Sr and remains so to other naval aviators. 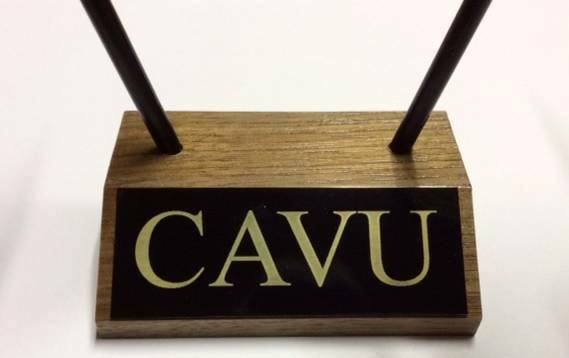 CAVU is a fine wish for anyone. 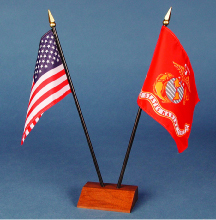 American Desk Flags printed on lustrous silk-like fabric. 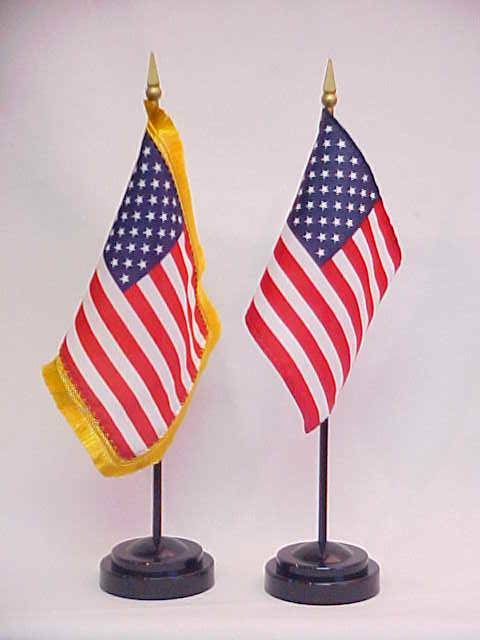 Available fringed or unfringed, with or without miniature bases. Some con men sell a vain emperor a special suit of clothes made from fabric that is rare and wondrous. Only the smartest people can see it. The suit is invisible to anyone who is stupid or unfit for his position. When the emperor struts around town in his wonderful new suit, no one is willing to admit that he is naked. To admit that one can not see the fine suit would be to admit ones stupidity. At last a little boy has the honesty to cry out "the emperor has no clothes!" 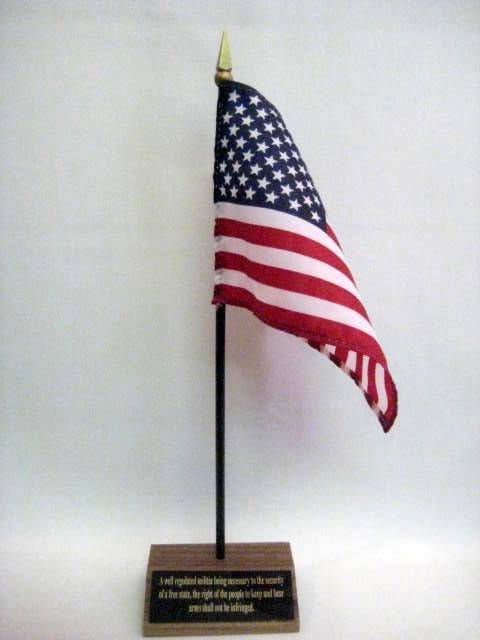 Every emperor should also have his own flag that only the smartest among us can see. Do you know someone whose bravado speaks for itself? 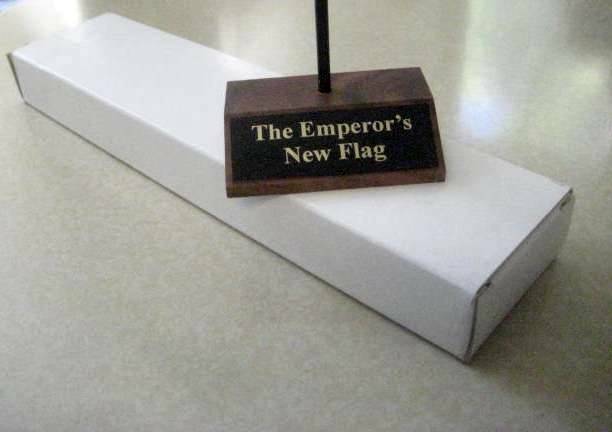 Then give that emperor his own flag. 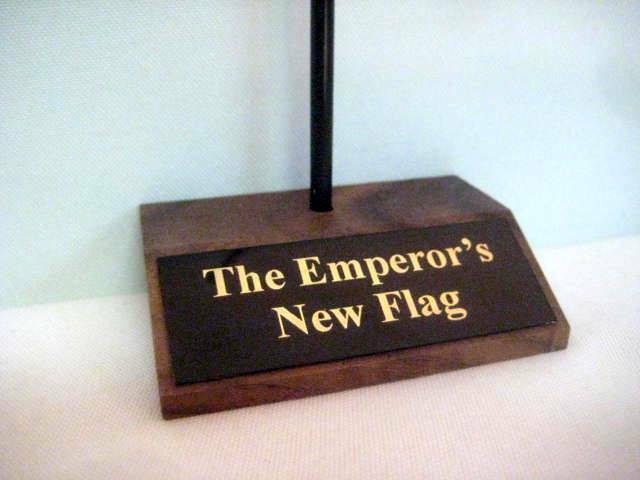 Could you use a reminder on your desk that there are emperors in the world who see things that others don't? 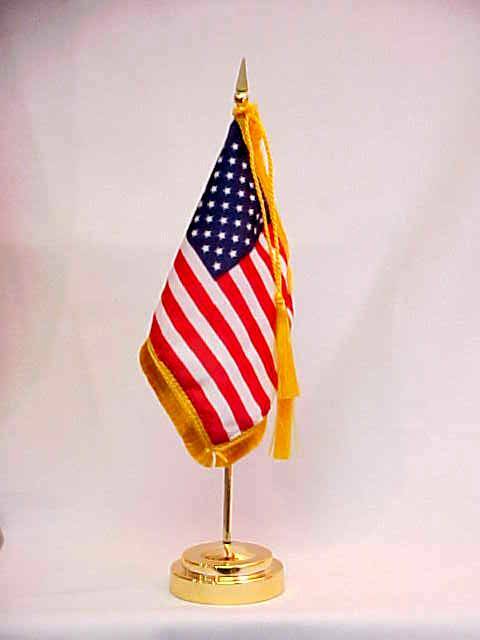 Fine quality fringed flag with gold cord and tassel. 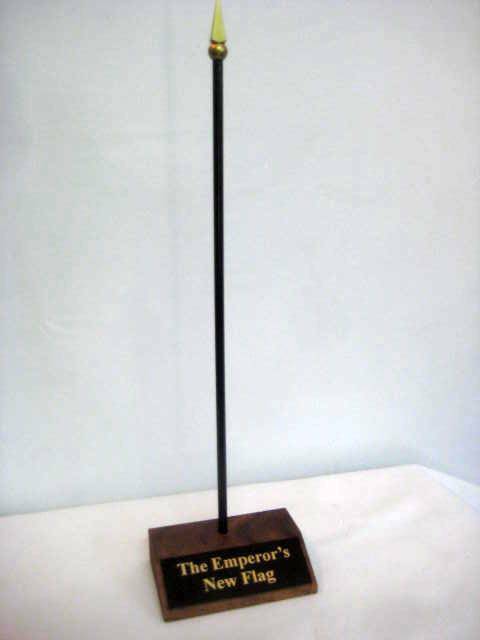 Brilliant gold finish staff with matching miniature weighted base. Comes boxed suitable for presentations. 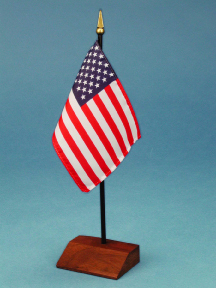 DIMENSIONS of all three bases: 2x3", 3/4" thick. 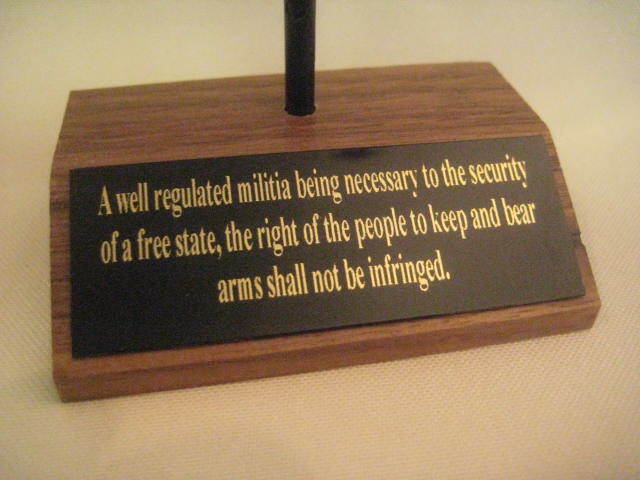 The sloped front face is 11/8 x 3" but any engraving plate you have made should be limited to 1x2.75"